GA Oil Bath Air Cleaners - Vortox Air Technology, Inc. The GA series, similar to the G series in body style, provides a large dust holding capacity and makes intake noise minimal. The GA style is designed for service on engines and compressors where a direct connection can be made with companion flanges. 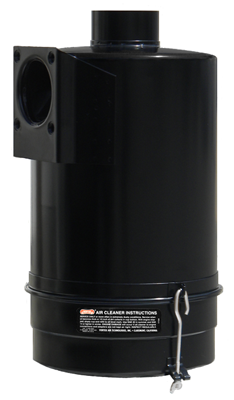 GA air cleaners are suitable for direct vertical mounting. Due to its flanged connection, the cleaner does not require the support of mounting bands or brackets.